We can't wait to see you at our upcoming events! 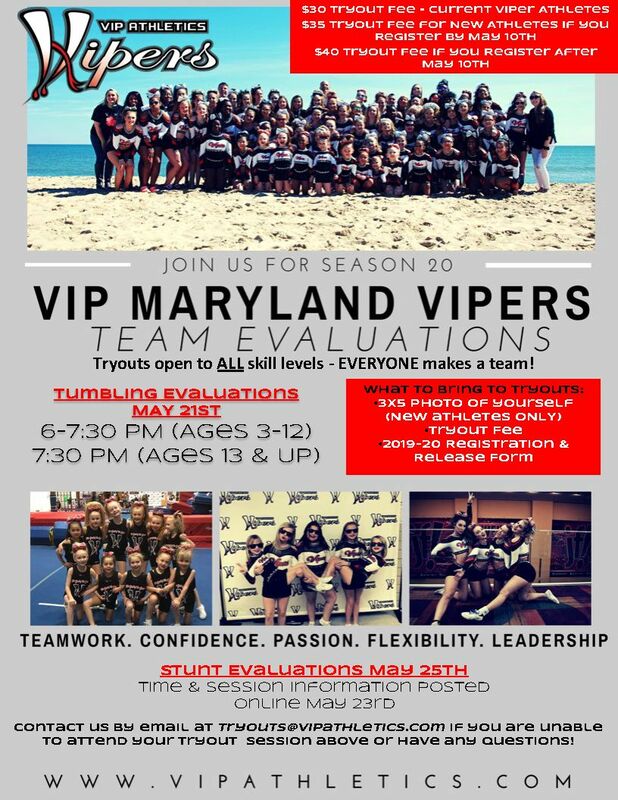 CLICK HERE to register for our 2019-2020 Season Evaluations! 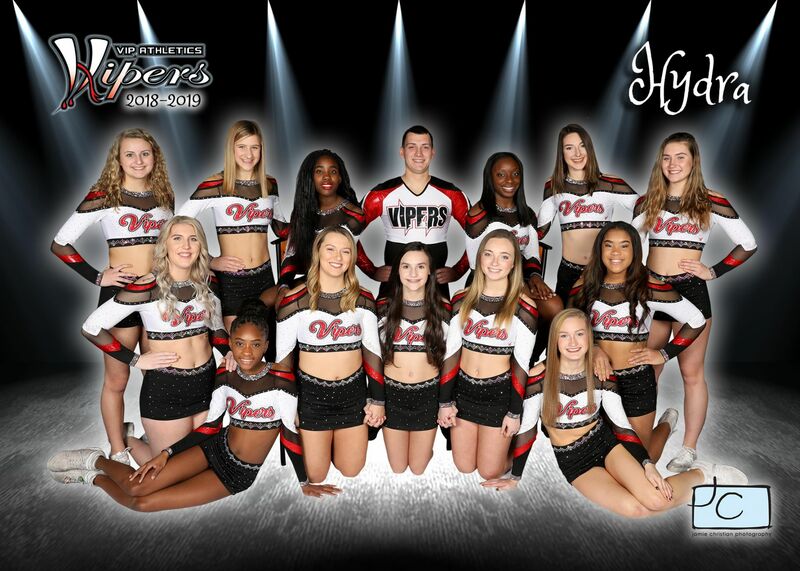 We cannot wait for you to join our Viper family! 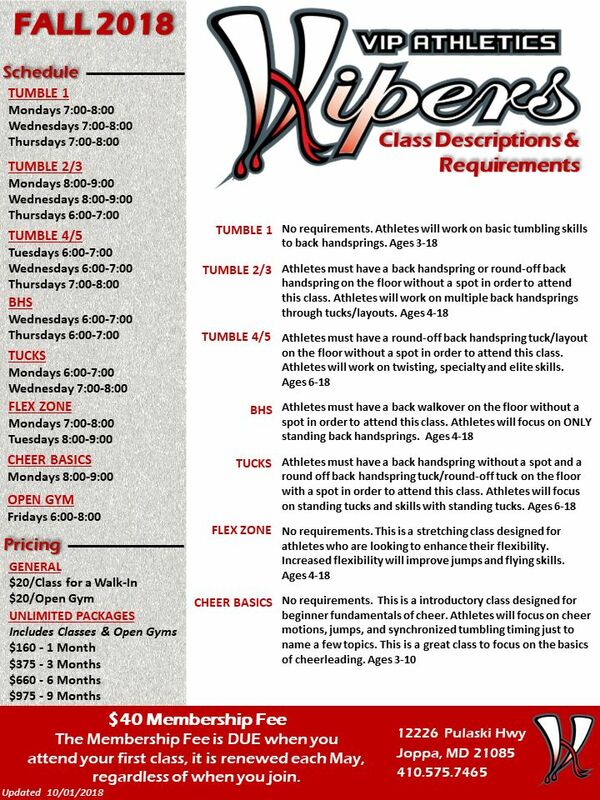 Do you have a question about joining a Viper Team? 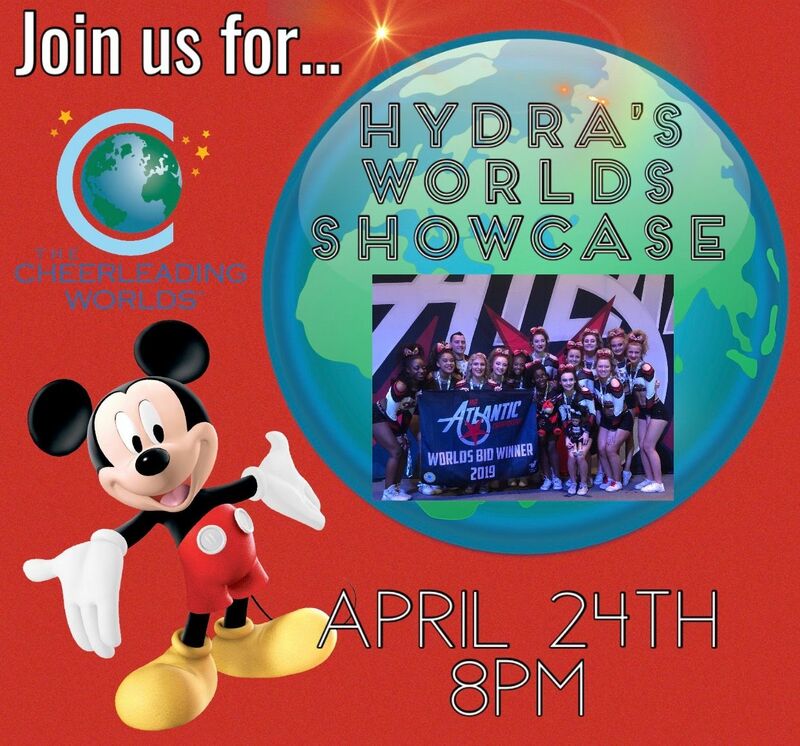 Congratulations to HYDRA, our Small Senior Open Coed 5 Team on your At-Large Bid to the Worlds 2019 in Disney. This is the teams 4th year in a row to attend! 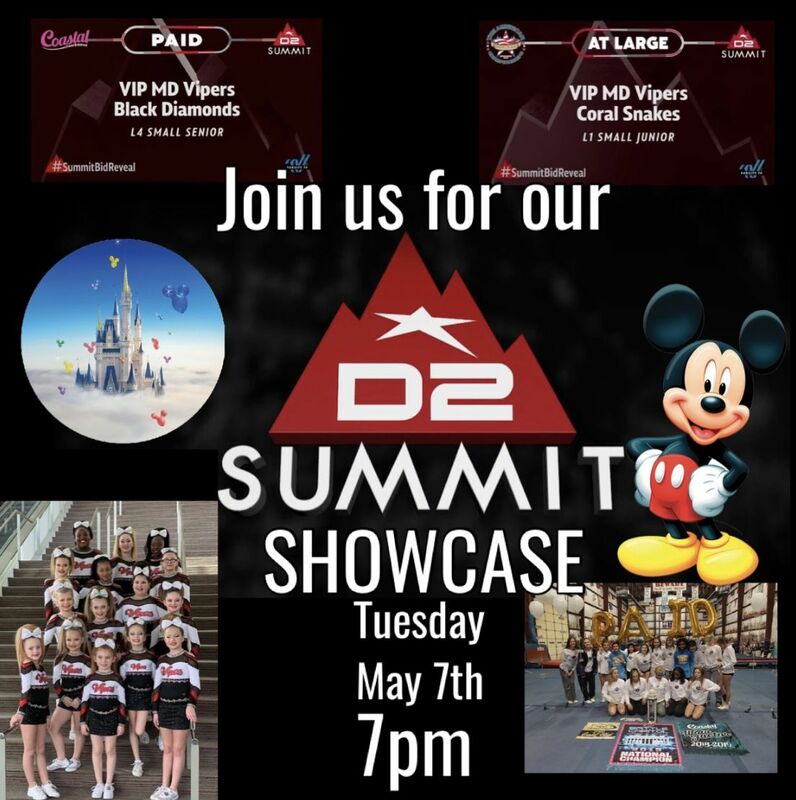 Congratulations to BLACK DIAMONDS, our Small Senior 4 Team on your Paid Bid to the D2 Summit 2019 in Disney. 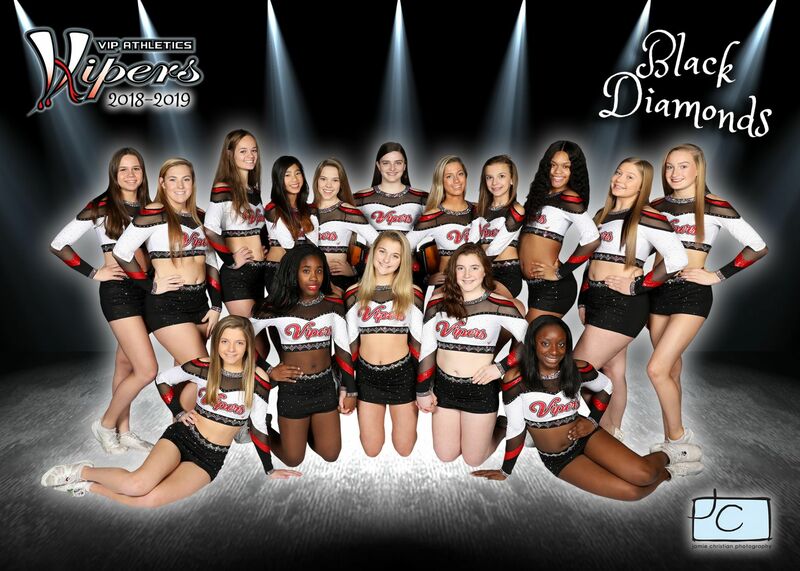 This is the teams 3rd year in a row to attend! 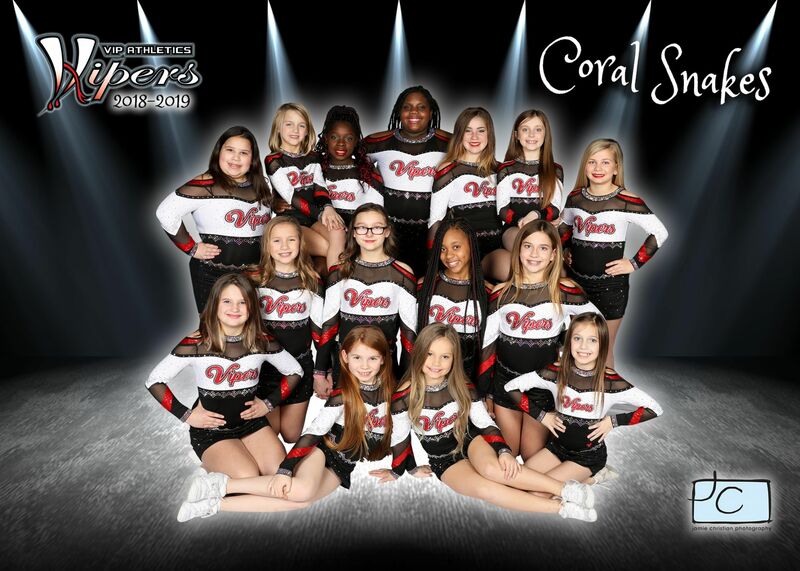 Congratulations to CORAL SNAKES, our Small Junior 1 Team on your At-Large Bid to the D2 Summit 2019 in Disney. This is the teams 1st time attending this event! 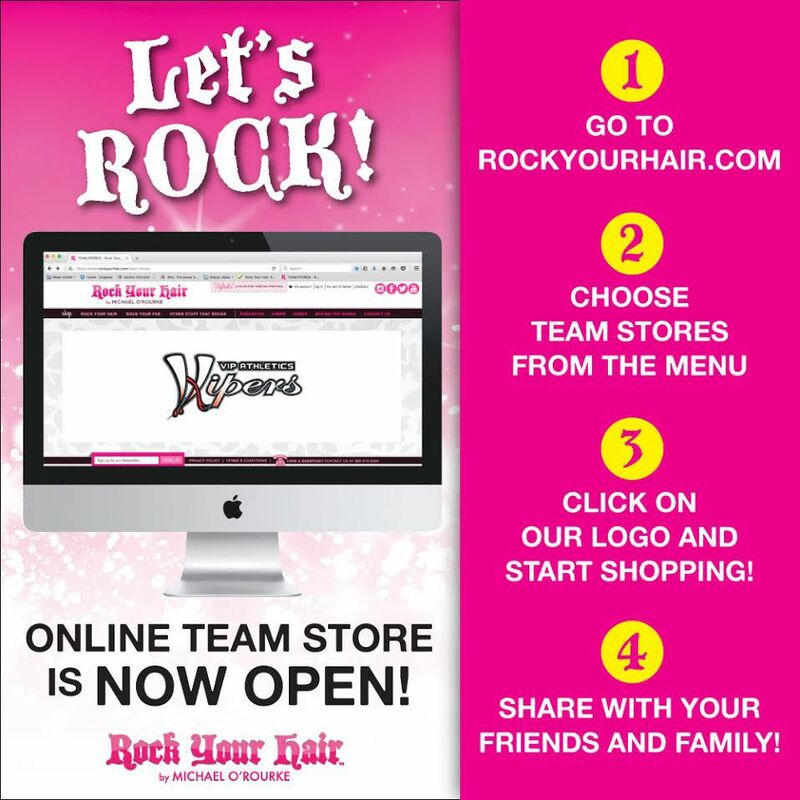 Viper New Online Team Store - "Rock Your Hair"